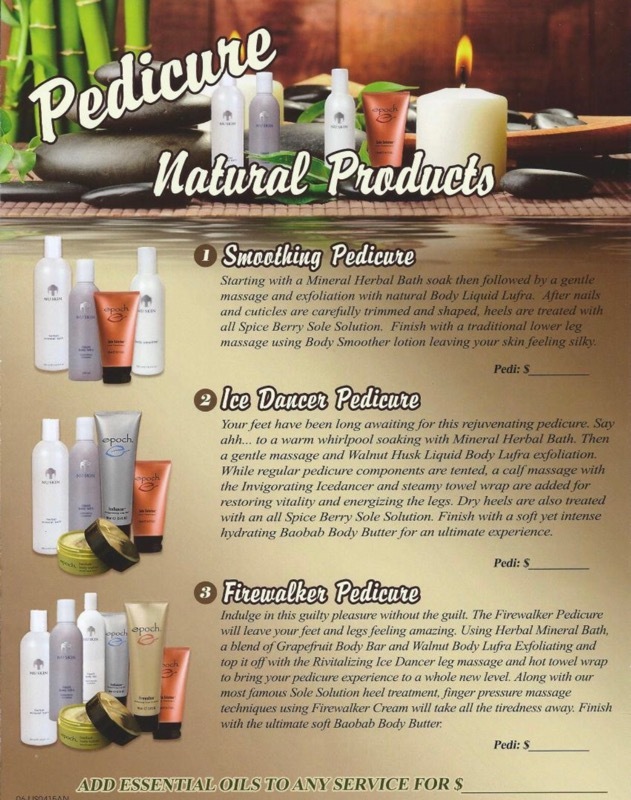 We use only the best line of products for our manicures, pedicures and acrylic nails. Our up-to-date inventory includes names such as OPI, IBD, LCN, CREATIVE NAIL DESIGNS, ORLY, GELISH, LECHAT, CHINA GLAZE, PERFECT MATCH, CUCCIO, GEL 2, DAISY, ELITE, PROGEL, GEL UV, GEL-INK, NSI, GALAXY and MORE. Nail Kits are available for purchase at any of our locations. Nail Kits include: file, cuticle clipper, cuticle pusher, buffer, nail clipper. New from Hand & Nail Harmony comes Gelish® Color Gels. This innovative formula is applied like polish and cures in a LED lamp in as little as 30 seconds, or 2 minutes in traditional UV lamps. Gelish® stays on nails for up to 3 weeks with no chipping, fading or peeling, and soaks completely off in only 10 - 15 minutes. Finally, your favorite OPI nail polish colors in OPI gel nail polish colors. The OPI gel nail polish is in a UV-cured, soak off gel nail colors. OPI's iconic colors are now available in a new, polish-on gel formula called Gelcolor. Gelcolor is applied and dried at a faster speed than regular gel nails, and the color gives you weeks of incomparable shine and wear. Easy to remove with soak-off method. CND Shellac™ delivers 14+ day flawless wear, superior color and mirror shine with zero dry-time and no nail damage. Available in 68 trend-setting shades that can be layered together to make infinite options, CND Shellac is a true innovation of chip-free, extended-wear nail color. SNS provides a healthy nail system for natural and healthy nails. No odor, no liquid, no primer, no UV light, and much thinner than other products, Signature Nail Systems will help nails grow out stronger and healthier. They also add 5 different vitamins and calcium. LCN professional nail polishes (a type of gel nails) are formulated with a unique patented ceramic nanotechnology that marries natural ingredients with green chemistry to create the most advanced high performance nail polish on the market. VINYLUX™ Weekly Polish and Weekly Top Coat is a system uniquely designed to work together. Exposure to natural light secures the ProLight technology, creating an enduring, long-lasting polish. While ordinary polishes become brittle and deteriorate over time, VINYLUX™ dries naturally to a flawless finish and strengthens its resistance to chips over time. Perfect Match™ by LeChat Nail Care provides the benefits of gel: added strength, no chipping, fading, or drying time, with the look, feel and application similar to that of traditional nail polish. Perfect Match Gel Polish can be removed effortlessly by using Nobility Soak-Off Remover. Enjoy long lasting wear, while keeping your nails looking natural and healthy. Younger looking hands and feet are possible with OPI's Manicure and Pedicure line of skincare products. OPI brings facial-quality products to hands and feet for instantly visible results that improve skin with every use. Luxuriant, revitalizing and soothing CND SpaManicure™ Systems exfoliate, refine and moisturize hands. Stimulate your senses. Lavish feet with soothing, smoothing attention. CND SpaPedicure™ systems exfoliate and hydrate so you can give your shoes the feet they deserve. Lôngmi Lashes by Daniel are the first and only US patented method for Multiple-Layer Eyelash Extensions. Our professional lash extensions will extend your natural eyelashes and draw attention to your eyes. Extensions are perfect for special occasions and are also safe for everyday wear. They are weightless, gorgeous, semi-permanent and made from synthetic fibers. Each lash is applied one by one to your own natural lashes. With proper care and touchup visits they can last up to 4 weeks. Ardell Eyelashes offers several lash styles to fit a consumer's mood, personality and lifestyle. They have become must-have, preferred beauty enhancers for millions of women, including makeup artists and Hollywood A-listers. When women everywhere want to feel confident that their eyes have a total look that's alluring and the ultimate in beauty, they turn to Ardell Eyelashes and enjoy the compliments. Last up to 10 days! The Go Check-In system is right in front of the receptionist counter. Make sure you put your phone number to sign in to earn 1 point each time and add up 10 points get $10 OFF. OPI Powder Refection is now available at Pinky's Nails Salon. It uses a unique technology that is different from the technology found in acrylic enhancement products, such as Absolute. Powder Perfection does not use a liquid monomer initiator found in acrylic systems like Absolute. Instead, a liquid resin or base coat is used for adhesion. Powder Perfection then requires an Activator to accelerate the curing of the Base Coat and powders, and initiate the reaction with the Top Coat. This makes the Powder Perfection system ideal for protective overlays on the natural nail.